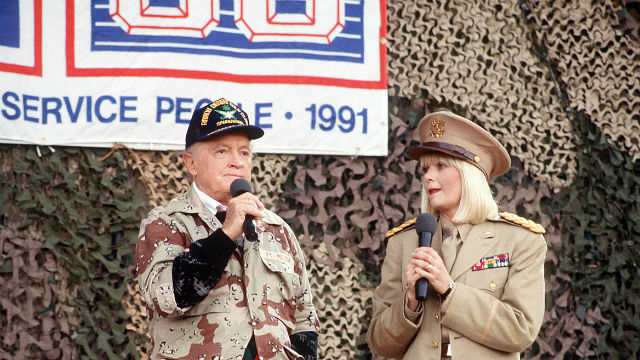 An Easterseals program launched in San Diego County to provide services to military veterans received a three-year, $750,000 grant Tuesday from the foundation of the late entertainer Bob Hope. Easterseals Southern California will use the funding to further support the development and expansion of the Bob Hope Veterans Support Program, which has grown into Orange County. The program was initially funded with a $1.1 million grant from the foundation. The additional funds will allow the program to increase coverage in the two counties and extend services throughout Southern California. “To date more than 700 veterans have gone through the program,” Miranda Hope said. The program will receive $250,000 per year for the next three years, according to Easterseals. The money will be used to hire more employment specialists who can give veterans one-on-one coaching. They can also point veterans toward other resources like ongoing education, Veterans Affairs benefits, physical and mental health support, and housing and financial assistance to smooth the transition to civilian life. Veterans or potential employers interested in learning more about the Easterseals Bob Hope Veterans Support Program can call (760) 737-3990, or visit www.easterseals.com/southerncal/our-programs/military-veterans-services.